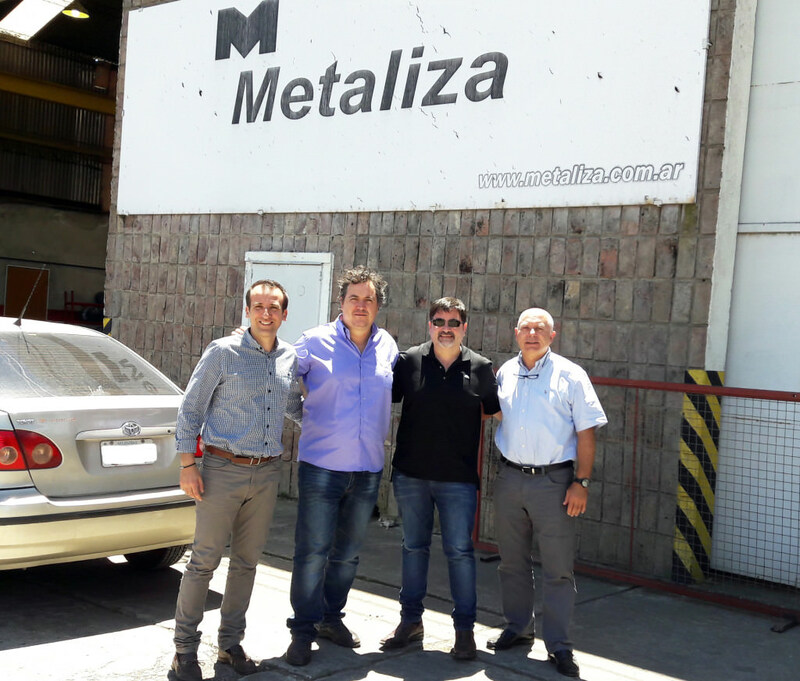 The visit, which took place last week at the facilities of Metaliza-Hardfacing, in Santa Fe, Argentina, has served to pool the progresses and results obtained so far. The meeting was attended by the CEO of TMCOMAS, Llorenç Comas, and the Head of the Technical Department, Dr. Jaume Nin; and by Metaliza-Hardfacing Gabriel Filipowicz and Daniel Massei, managers of the Argentinian company. The previous project meeting was held at the TMCOMAS facilities in Blanes, during last March. Last September was one year since the beginning of the INTEDURECA Project, a bilateral investigation between Spain and Argentina, whose main objective is to study new technologies and hard recharge materials. All this in order to avoid corrosion and high temperature wear on mechanical components, machinery and tools aimed at the sectors of valves, mining, cement industry, iron and steel, petrochemicals, power generation, plastic and textile chemistry, among others. In this project, which has a total duration of 2 years, are working together TMCOMAS and the Eurecat-CTM technology center in representation of Spain, and the Argentinian Metallurgical Institute and Metaliza-Hardfacing company, for Argentina. INTEDURECA is funded by the Center for Industrial Technological Development (CDTI) in Spain and the Ministry of Science, Technology and Productive Innovation (MINCyT) in Argentina, within the framework of the IBEROEKA International Technological Cooperation Project.